Finding out the basics of outdoor lighting and what it can do for your property is essential for the enhancing the beauty of landscape that you have. You need to ensure that you have the right effects that you’re looking for throughout the entire area surrounding your home. Without the right tips and tricks, you’re not going to be able to accomplish the look that you’re after. 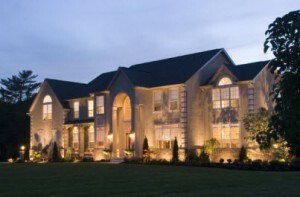 Consider some of these basics regarding outdoor lighting when the time comes. For lighting up the exterior of your home and your landscape, you have the option to go with high-voltage or low-voltage lighting, depending on what type of things you want to illuminate in your yard. However, low-voltage systems are a more popular choice with people today since they are safer to use, do not cost much in your energy bills and look just as beautiful placed throughout your yard. Wiring is not required for low-voltage lighting, and only a battery is needed to have them light up bright during the night time. This saves on a lot of energy costs. Solar lighting is another popular choice for landscape lighting, since it is safe for the environment; does not require any wiring (that means no excavating or trenching) and it doesn’t run off of any type of energy but solar power from the sun. Another advantage of solar lights is that they can easily be moved. However, this type of lighting is generally not as bright, which might not be a bad thing if that is what you’re going for – a soft, subtle glow. And solar lighting is not a good option for lighting up areas that don’t get good daytime sun to charge the solar batteries. Designing the lighting in a coordinated plan throughout the landscape is important to do as well. You cannot just put lighting anywhere, but you have to strategically place the fixtures where they fit the best. This can be done by choosing which places and focal points you want to light up at night. Choose those areas that will really stand out when the night falls. You want lighting that is purposeful but also beautiful at the same time. With the right places for each of the lighting extras, you’re able to do this and so much more. Contact us at Architectural Landscape Design where we specialize in low-voltage lighting solutions, and we are a Minneap0lis-area outdoor lighting contractor that is able to help with all of your MN landscape lighting needs. Call us at 952-292-7717 to schedule a lighting consultation today. Now is the time to plan to light up the night on those warm summer evenings!